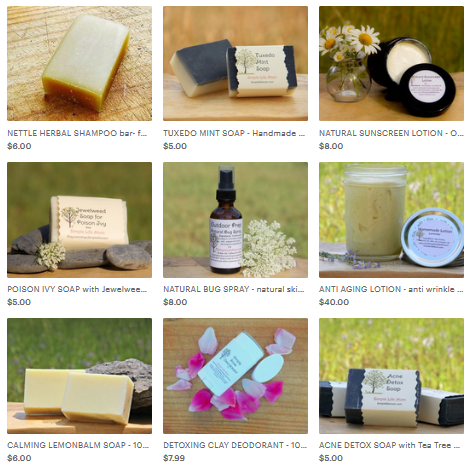 Most people I know are trying to be creative with their gifts, and there are a number of reasons for this: wanting to be frugal, the enjoyment that comes from being creative and making things with your own hands, the special touch that a handmade or even partially DIY gift can bring to the occasion. 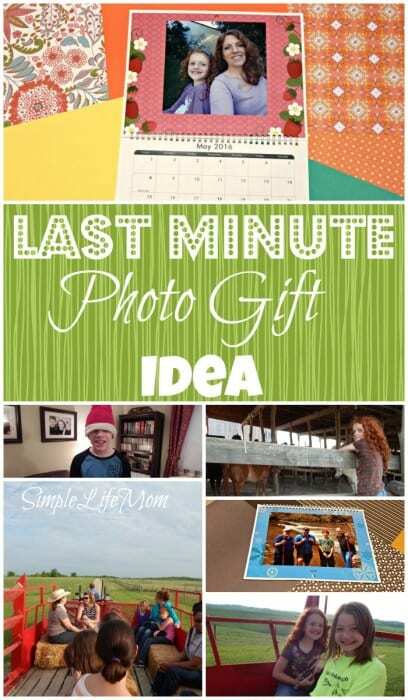 I love that this Last Minute Photo Gift Idea encompasses all of these things: Fast, easy, frugal, personal, and fun! I recently had the opportunity to try Walmart’s Photo Same Day Calendars. (This is a sponsored post, but all opinions are mine. I keep it real!) Talk about last minute gift ideas! Of course, they have all kinds of easy and fast ways for you to throw something together that’s personal and fabulous in minutes: cards, ornaments, etc. I have a friend who makes a family photo book each Christmas to keep as a special memory of that year. I especially wanted to to try the calendar. My cousin had once used Walmart Photo to make a calendar for my grandmother. She inserted pictures of all of the kids and grandkids into the actual date of their birthdays so my granny could tell at a glance who’s birthdays were coming up. She LOVED it! I wanted to make one for my dad for this Christmas, so my kids and I sat down at the computer and within 20 minutes we had a wonderful calendar that was ready to go!! To be fair, it would have taken a much shorter amount of time, but each child wanted to use a different back drop and wanted to use different pictures, so that added some time. I love how the Walmart Photo website has so many different variables to choose from so you can really make it your own. You can choose sizes, backgrounds, how many pictures you want on a page, the layout, if you want pictures on dates. Plus, the format is easy to navigate through. My youngest was doing most of it and had no problem. I try to be critical when I perform reviews, but in all honesty, it did exactly what I wanted it to and came out exactly how I expected. I’m very happy. The best part of all, it is on sale right now. 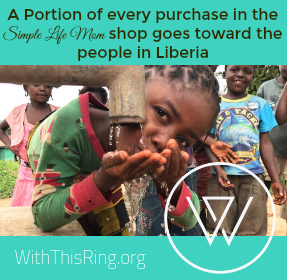 It’s usually $17.47, but is only $12 until January 5, 2016. Let us know in the comments below how you’ve used photo gifts! Thanks! I will have to make one for my 91 year old mom. Please share in the DanceWithJesus linkup at SusanBMead.com/blog to bless someone else too. It starts each Friday at 5 am central. What a great idea and fun family project. I’m going to forward this to my daughter so she can make a calendar where everyday has a photo of my grandson, hahaha. 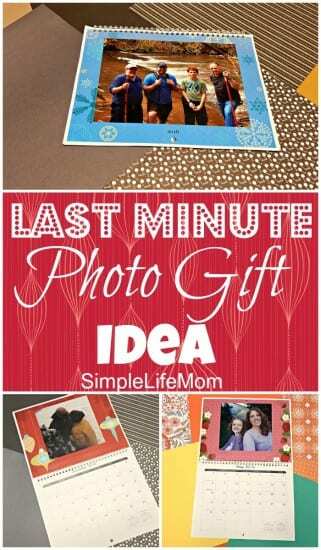 What a great idea for holidays to give to your loved ones! It’s good to see an option that you can print in the store. Other companies other photo calendars but you have to have them shipped, making them not ideal for last minute gifts. I agree. It makes it a great birthday gift for that reason too. This is a great idea! My mom just used the photo printing services at Walmart, and at an expensive printing online service, and the quality of the pictures from Walmart was far superior. Really? I’ve seen the same results. I think Fuji works with them and they do a really good job. This would be a nice gift to give grandparents. (Thinking of that since I am a recent grandparent!) Walmart does a great job with their photo printing. I love the idea of adding pictures to the calendar for birthdays. I totally need a calendar like that since I always forget. O agree. I think putting someone’s picture on the date is a fun idea. Kelly, every year I think about doing a photo calendar but I’m always too late. It’s great to know that it’s never really too late to do it. It’s a fun personalized gift….thanks! Thanks for the reminder about a gift of a family photo calendar. It’s good to know you can wait till (almost) the last minute. Great idea. We love photo calendars. I make them almost every year, and this reminds me that I have not done it yet!!! What a great Christmas gift idea. 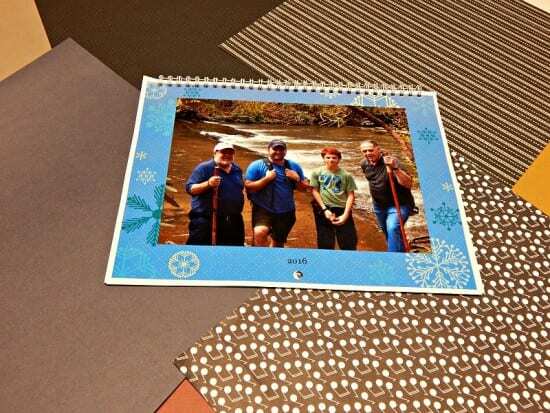 Thanks for joining and sharing this with us at Cooking and Crafting with J & J.
I’m considering a photo calendar or a personalized jigsaw puzzle this year! It’s really easy and fun.